Bored with the same old Recreation concepts? Want something new and active to challenge you physically and mentally, leaving you invigorated and excited by different fun filled enjoyments and demonstrations? 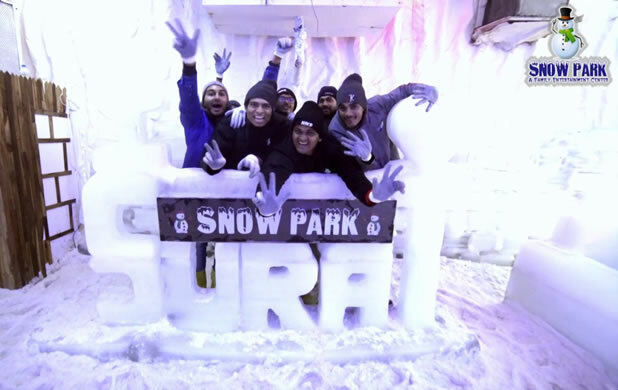 If so, SNOW PARK is for you, if you like to feel various snow based thrills. 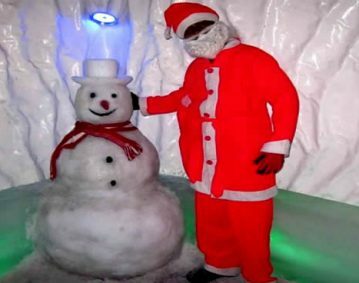 We offer a mixture of REAL SNOW in -5′ C Temperature with, Snow falling as like in Switzerland, Snow Play areas, Snow Balling, Igloos, Snow Men, Snow cave, Slide on ice, Sledging car, Snow dancing with DJ and Laser lighting and thunder effect. SNOW PARK has now created a design for a unique snow play center to entertain whole family for 365 days. The aim is to introduce unlimited snow fun to whole family, especially in places where snow is an exotic or now a days unusual commodity. Snow produced is REAL, and contains only water and no chemicals are added. The concept is unique and first time in history of mall in Gujarat. Facility is family oriented for all age groups. Rides can be varied, exotic and unexpected as possible. One can have slide on ice and sledging car. Snow play areas for kids and adults where they can build Snow man, Igloos or snow balling areas where you can hit your friends with snow balls. Snow caves and igloos can be created where you can have Snow entertainment.